The Coopered Tot: Old Crow New Versus Old: Tasting 1970s Against The Current Stuff In Very Good Blogger Company. 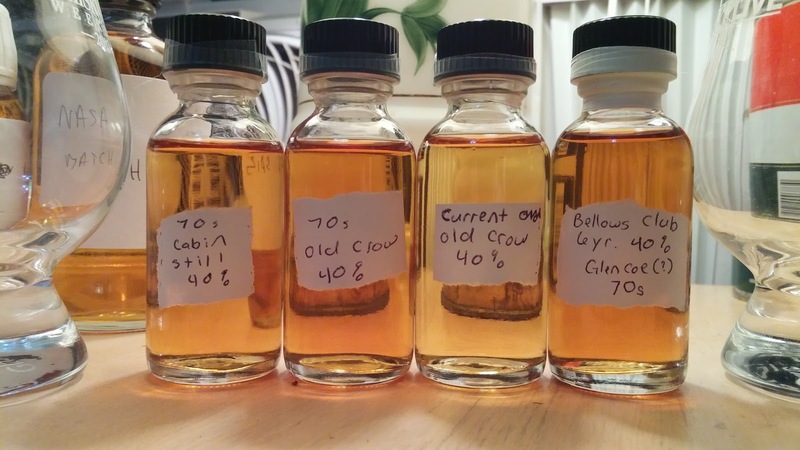 Old Crow New Versus Old: Tasting 1970s Against The Current Stuff In Very Good Blogger Company. Tasting dusty Bourbons and pitting them against the current expressions to learn about what has changed and, all too often, what has been lost, can be poignant because the dusty often represents a vanished distillery. That's the case here with the 1970s Old Crow. These exercises are often educational though. 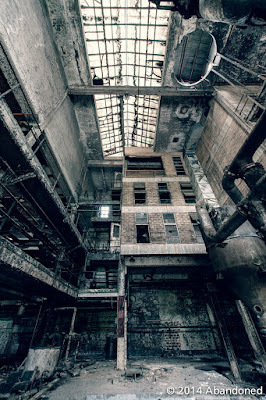 By knowing history we come to a deeper appreciation of the current state of the art. It's even better when you get to share the experience with others of a like mind. Today we have a special opportunity to do all that courtesy of Josh Peters of The Whiskey Jug blog. Josh sent a quartet of samples (seen below) to a quintet of whiskey bloggers. None of use communicated anything beforehand, other than Josh sending us the samples and bottle shots. Now we get to enjoy reading all their perspectives about the same whiskies. I'm honored to be among such a great group of bloggers. 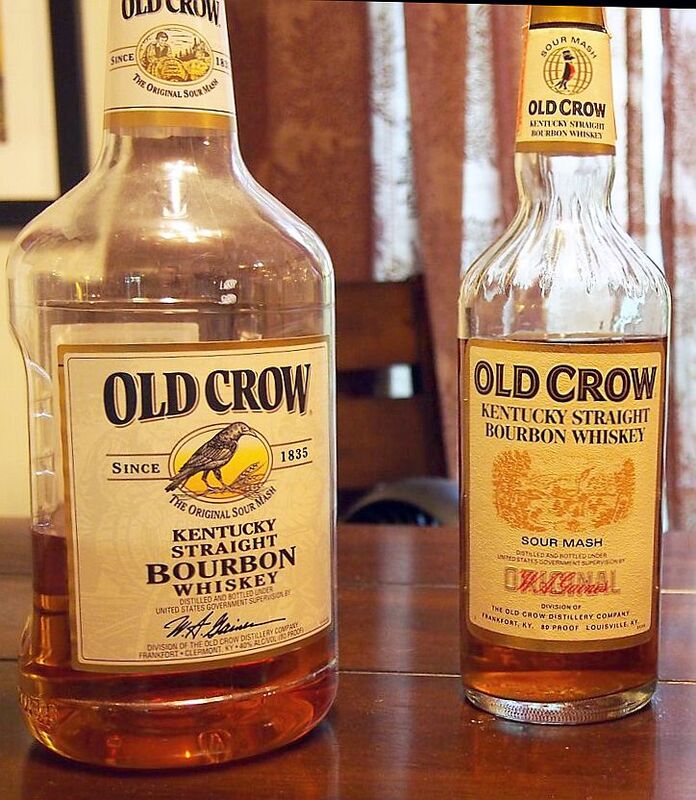 Let's get started with a head to head of 1970s Old Crow versus the new stuff. The samples. The Old Crows are in the two in the middle. 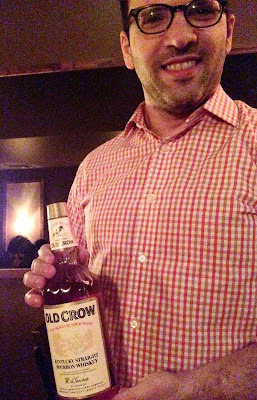 Old Crow is one of the greatest brand stories in all of whiskey. It has the most noble and legendary of beginnings but the recipe is lost at least twice along the way and it's currently a bottom shelf item. 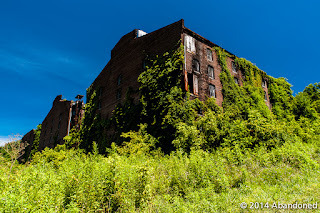 A classic American Rust Belt tale. Named for Dr. James C. Crow, a Scottish physician and chemist who emigrated to the US in the 1820s and who had come to work for Oscar Pepper in 1838 in Woodford county, Kentucky. He is generally (and probably incorrectly) credited with inventing the sour mash process where some of the spent mash from the previous batch is reserved and used as a starter in the next batch where it acidifies the mash and provides continuity of yeast and fauna. He also barrel aged his Bourbon in era what that wasn't the norm. And he properly cleaned his mash tuns and washbacks and tended the recipe with a careful and scientific manner. All this gave early Old Crow an admirable level of quality and consistency which made it beloved. "After the war, whiskey-making resumed and Old Crow became one of the world's top selling bourbons. Until 1952, it was sold only as a bond, i.e., 100 proof. In that year, an 86 proof version was introduced. In the 1960s, with sales still booming, production capacity at the Old Crow plant was increased significantly. 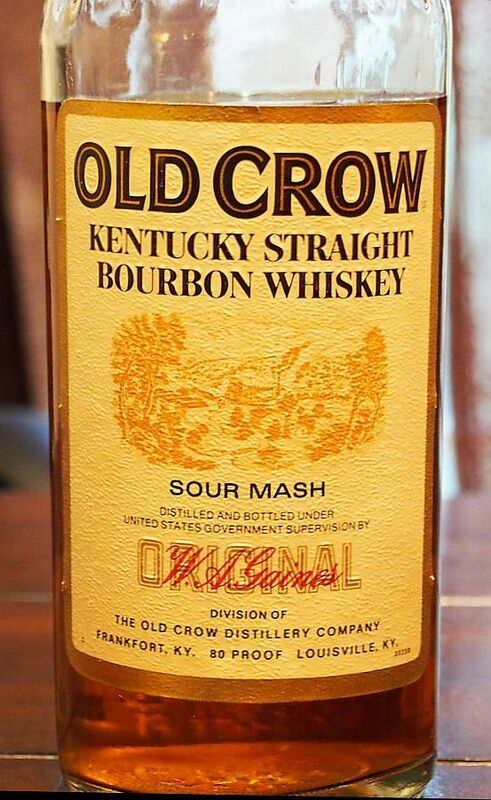 According to a former National Distillers employee who was the last master distiller at Crow before it was acquired by Jim Beam in 1987, it was during this expansion that the original formula was accidentally changed. The error was in the percentage of backset returned to the new mash. This is ironic because the use of backset to condition new mash is the very essence of the sour mash process introduced by Dr. Crow. 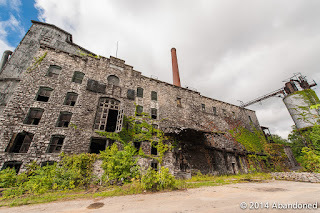 Despite falling sales, many customer complaints about the product’s new flavor, and even negative reviews from the distillery’s own tasting panels, the plant’s managers were either unwilling or unable to correct the mistake until just a few years before Jim Beam closed the plant in 1987. But by then the damage had been done. 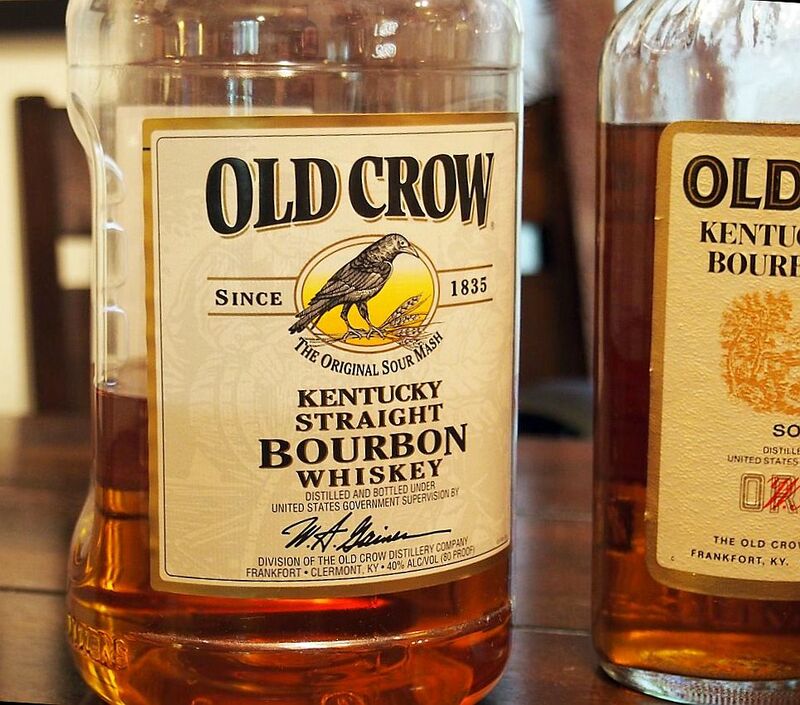 Sales of almost all bourbon brands declined during the 1970s and 1980s, but none worse than Old Crow. In addition to losing sales, it also lost market share. Formerly number one, today it does not even rank in the top ten. For most of the period between Prohibition and Old Crow’s fall from grace, the brand’s chief rival for the position of best-selling bourbon was Jim Beam. As a final irony, the Old Crow whiskey in stores today is Jim Beam. That is, it is whiskey made by Jim Beam from the standard Jim Beam bourbon mash bill." Cowdery, Charles (2011-05-20). BOURBON, STRAIGHT: The Uncut and Unfiltered Story of American Whiskey (pp. 114-115). So, what we're tasting in this head to head is Old Crow from the last decade or so of the Old Crow Distillery (that gorgeous ruin) - which was part of National Distillers Corporation at the time, and the new stuff from Jim Beam. Old Crow 40% (Current bottling - Jim Beam) 3 years old. The nose is grainy (grassy, sour) with some blue cheese and plastic. A bright, sweet sugar opening. There is some light corn and citrus on the expansion and then a lightly sour and bitter finish with a nice doughy after glow. With air it opens sweet gentle and not so bad. Young and light, but certainly drinkable. An undistinguished but inoffensive young Bourbon. Nose: Cream and butter. Vanilla. Citrus. Blonde tobacco. Something musky and little earthy. Palate: sweet marmalade. Citrus compote. Dynamic and honeyed. Strong buttery texture and sweet butter flavor notes join hard candy at the mid palate expansion. Light leather and gentle charred oak turn and short finish that ends slightly bitter. Way more vivid and intense than the new stuff. Classic mid-century style Bourbon in the light and candied mode. And this is the decade after the setback amount was accidentally changed and the recipe lost. Earlier versions had a richer darker aspect. Also this is the 80 proof version. 86 an and BiB (100 proof) are no doubt even better. I have some of those lying around. I look forward to following this up at higher proof. Char No. 4 a couple of years ago. So, it's clear that the old National Distiller's stuff was leagues ahead of the bottom shelf younger version of Jim Beam White Old Crow has become. A sad legacy indeed, for one of America's top brands. A bit of personal history: I had this head to head poured by Allan Roth, then of Brooklyn's terrific restaurant and whiskey bar Char No. 4 (now sadly closed) back in January, 2014. I was having dinner and whiskey flights with a friend when Allan, beverage director, brought out a lovely early 1980s tax stamped dusty bottle of Old Crow (see photo at left) and poured my companion and I the National Distiller's dusty and the new stuff as complimentary pours. It was a highlight moment. 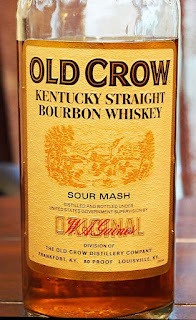 BTW, our impression of these two whiskies was identical to my impressions in the current tasting: National Distillers Old Crow was a lovely and flavorful pour which bears little resemblance the current stuff. It's no surprise given that only the name is the same. The long and proud legacy is lost. Very good as usual, Josh. I have a couple bottles of 86 proof that im dying to try including a 1970 "birthday bottle". Im curious as to exactly what year they got the recipe back on course. Any ideas? As to your description it sounds like a bottle from 1985 might be better than a bittle from 1975 or did i read this wrong? Cowdery does imply that National Distillers got things back on track in the final years before the 1987 sale. I haven't tasted this. I have only had the pleasure of tasting ND Old Crow a few times. I have some older and younger minis and samples to taste so maybe I'll learn more in the days to come. Fantastic writeup and thank you for participating. Looking forward to what you think of the Cabin Still tomorrow! I got ya, hopefully i will crack a few of the bottles i have and see.